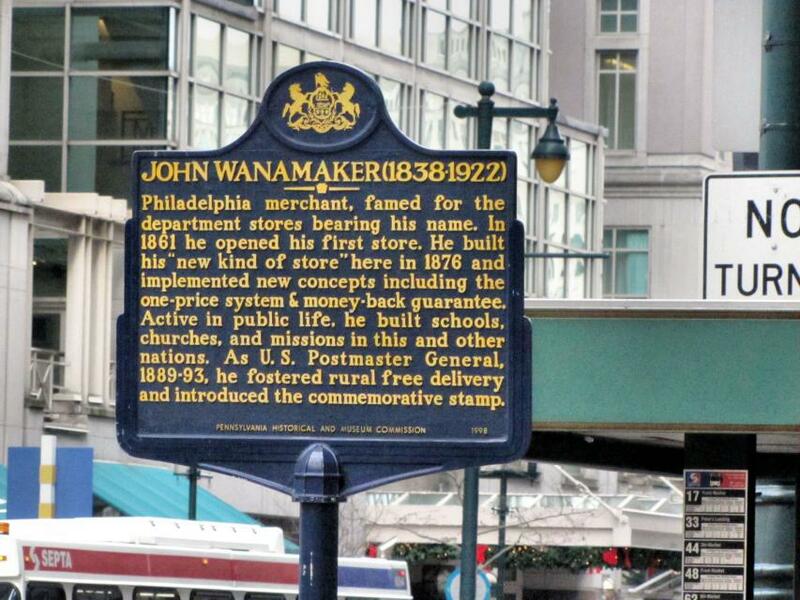 Philadelphia merchant, famed for the department stores bearing his name. In 1861 he opened his first store. He built his "new kind of store" here in 1876 and implemented new concepts including the one-price system & money-back guarantee. Active in public life, he built schools, churches, and missions in this and other nations. As U.S. Postmaster General,1889-93, he fostered rural free delivery and introduced the commemorative stamp. This marker can also be identified by its HM code. You can use the hashtag #HM1JRW in tweets, and any other place where you might refer to this marker, including when searching on this site.